​ are looking for new members! Our next public appearance will be in Kings Square in York on 23rd April at 7:30pm. Our annual tour round York's city walls is on Sunday 5th May, click here for the timings . Or you can Click here for a full list of our performances. Ebor Morris, Acorn Morris, Mortimers, Brackley, Minster Strays, Rivington, Sheffield City, Rhubarb Tarts, Black Diamond, Richmond on Swale, Sullivans Sword, Saddleworth, Waters Green, Mons Meg, Mill Hillies, Goathland Plough Stots, Wakefield, Rackaback, Stone the Crows, Beat It. We're now at the end of our practice season, but we are always looking for more new members to join us. Beginners are always welcome, as long as you're male and over 16. For more information talk to us when we're out and about, or look at our Join page. 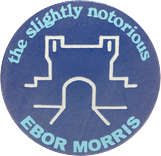 ​​We are Ebor Morris, founded in 1974. We are ​York's only men's morris team. We perform traditional morris dances from the south of England and the traditional Escrick Longsword dance from Yorkshire. or click here if you're interested in making friends, getting some exercise, having fun, and keeping tradition alive! We are always looking for new members, no experience required. 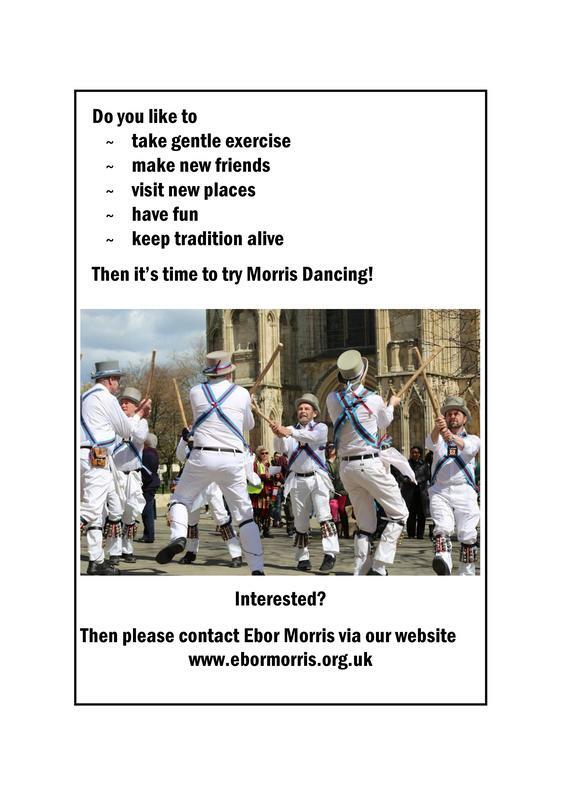 Ebor Morris are members of the Morris Federation. Other Morris organisations are also available.